The Sta-Lok system is a simple mechanical method of terminating 1x19 wire. Suitable for both right-hand lay and left-hand lay construction. Hand-fitted instead of machine swagged. 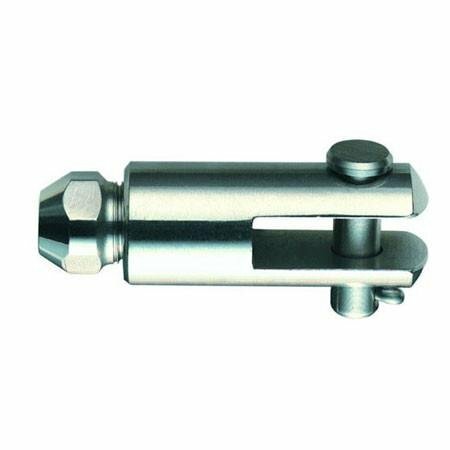 The Sta-Lok Terminal can be fitted on site using simple hand tools. The Sta-Lok Terminal will work under constant loading and variable shock loading. 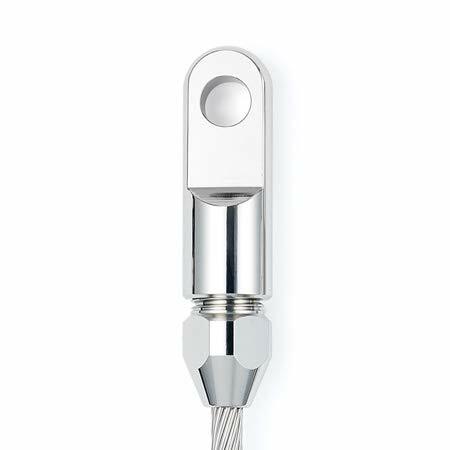 Manufactured from Type 316 stainless steel. All Sta-Lok Terminals are reusable* and require no servicing; they have a long life span and very low maintenance costs. *A new wedge component should be used. Guaranteed stronger than wire rope. High strength 316 Stainless Steel. Rust Free. Easy to install. Only basic hand tools required. Guaranteed stronger than wire rope. For right hand and left hand lay wire rope. High strength 316 Stainless steel. Rust Free. Guaranteed stronger than wire rope. For right hand and left hand lay wire rope. No premeasurement needed. Guaranteed stronger than wire rope. High strength 316 Stainless Steel. Rust Free. Sta-Lok Self Fit Terminal, the reusable alternative to swage. Easy to install. Only basic hand tools required. No premeasurement needed. Hand fitted instead of machine swaged. 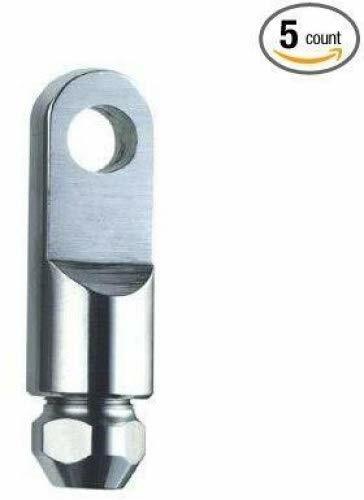 The Sta-Lok terminal can be fitted on site using very simple hand tools. The Sta-Lok terminal will work under constant loading and variable shock loading, making it stronger than the wire rope. Shopping Results for "Sta Lok Terminals"